Simplicity can often work wonders and with letterpress printing, you can achieve just that. It also makes most designs clean and elegant. With the relief that it creates on card stock, it is perfect for embossing certain areas in the print. It makes a great printing option for business cards, too. As you will see below, the emboss often makes up for the limitation in color. 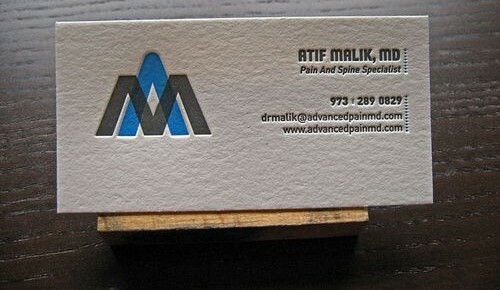 Also, the card stock used on all business card samples are textured for added effect. If you have any letterpress business cards you want to share, we’d love to see them, too. Just share the link on the comments below!